The Bristal Assisted Living at Westbury was good and very nice. It was modern and not too big, but not small either. The staff member who showed us around was very nice, patient, and spent a lot of time with us. The location was just less convenient for us. They have a movie theater, exercise, physical therapy, games, and a lot of social activities inside. The dining room looked like a very high class restaurant with individual tables. The Bristal Assisted Living at Westbury was less expensive. It seemed very nice and you feel like you're on a cruise ship. They have different activities and everything is carpeted. The dining room looked very nice and the staff was very friendly. There was no odor. The Bristal was very nice, very upscale, and excellent. The staff member was very good, friendly, and showed us the place. It was beautiful and had just been renovated. The best way to get to know a community is by scheduling a tour. See the facilities, meet the staff and residents, and get a feel first hand what it's like to live at The Bristal Assisted Living at Westbury Assisted Living. High-end hospitality will greet you when you visit The Bristal at Westbury, New York. 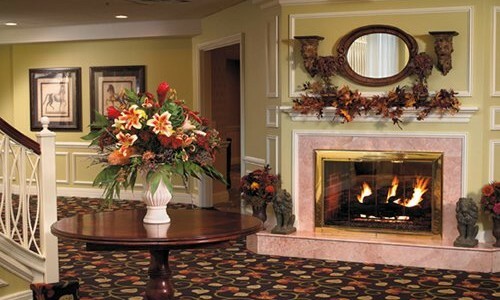 Our independent living offers amenities and accommodations akin to the world's finest hotels, while assisted living care rests on a foundation of compassion with each service customized to each resident's need. The Bristal's mission is to offer our residents the finest quality assisted living available today by providing extraordinary accommodations and delivering expert care and support. We demand that our staff not only possess the required training, background and experience, but exude empathy and a passion for care and service. Unparalleled accommodations and choices underpin life at The Bristal at Westbury. Brilliantly lit and fashionably decorated common areas include a handsomely appointed game room, internet café, library, bistro and a classically decorated dining room and parlor. Residents can choose from a variety of spacious studio, one- and two-bedroom apartment homes featuring private bathrooms and a kitchenette. It's not only the elegance of our community that sets us apart from other senior communities, but our signature programs. For example, our residents take advantage of The Bristal Better U, which fosters lifelong learning and personal enrichment through lectures, discourse and other educational activities of interest to our residents. Other opportunities include our SmartChoice brain food program where our chefs present residents with nutritionally conscious choices, our Alluring Eats appetizing dining program which introduces a bit of fun to the dining experience, or Bristal Helping Hands, which connects residents passionate about giving back to their community to volunteer opportunities. Much like an upscale hotel, high quality housekeeping, home-maintenance and dining services are expected, but we also create an Individualized Service Plan built to serve each resident's needs. For instance, our caregivers are on hand around the clock to assist with mobility and transferring help, personal hygiene and grooming, medication management and much more. Our Reflections memory care neighborhood is private and secure, offering programming and support designed to enhance the lives of those struggling with early to mid-stage Alzheimer's disease and similar cognitive impairments. Because we have created an atmosphere of consistency and familiarity, residents feel at home and through activities become invested and engaged with the world around them. Visit The Bristal at Westbury today, Where Every Day Means More™.